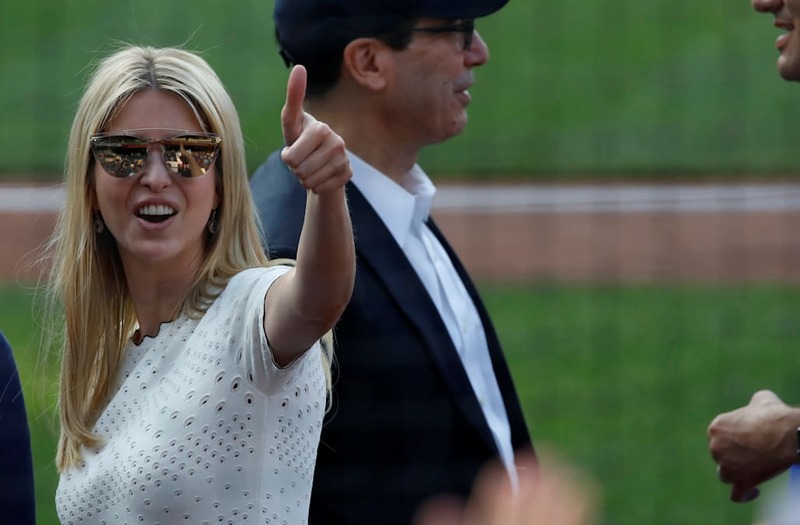 Ivanka Trump notably attended the Congressional Baseball Game on Thursday night, offering a warm message and image of her on the field. "Great to see so many come together to honor victims & heroes of yesterday's tragedy, support charity & play ball," Ivanka Trump wrote in her Twitter post. Ivanka Trump's 5-year-old daughter, Arabella, and 3-year-old son, Joseph, can be seen with the "Women Who Work" author at the game. Ivanka Trump was a prominent feature of the Trump administration's "Workforce Week" push from the White House. The West Wing staffer was praised by Secretary of Labor Jim Acosta during a press briefing this week for her work on a workforce apprenticeship program -- an initiative the president later presented and acted on with the signing of an executive order.